Citing the Terrorism Suppression Act, police arrested 18 people in raids linked to alleged weapons-training camps near the Bay of Plenty township of Rūātoki. In addition to raids in Rūātoki and nearby Whakatāne, police executed search warrants in Auckland, Hamilton, Palmerston North and Wellington after 12 months of surveillance of activist groups. Among those arrested was Tūhoe activist Tame Iti. Police claimed Iti was involved in running military-style training camps in the Urewera Ranges and was planning to establish an independent state on traditional Tūhoe land. Only Iti and three others were brought to trial in February 2012, on charges of participating in a criminal group and possessing firearms. The jury could not agree on the former charge, but all four were found guilty of firearms offences. Two received nine months’ home detention and the other two – including Iti – were sentenced to 2½ years in prison. In 2013 the Independent Police Conduct Authority found that police had ‘unnecessarily frightened and intimidated’ people during the raids. In 2014 Police Commissioner Mike Bush apologised for mistakes made during the raids. 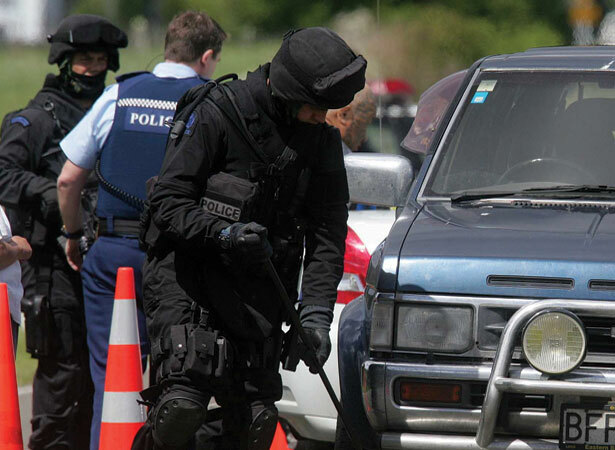 We have 5 articles, related to 'Anti-terror' raids in Urewera .